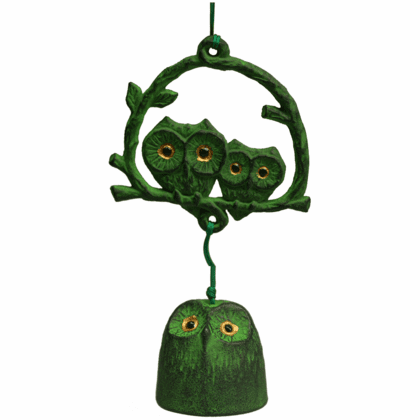 Green owl family cast iron wind chime. Makes a soft, soothing sound, included with its own box is a paper wind catcher. Parent branch 4-1/2" tall, 5" width. Baby owl 1-3/4" tall, 1-7/8 in diameter.